Purchasing a benchtop planer is an investment which assists you in paying off dividends when it comes to lumber savings. When you use such a machine on rough, less quality wood, you free yourself from buying expensive pre-surfaced lumber. Despite the fact that these devices can get the job done, don't compare them with heavy-duty planers that you might see in large woodworking stations. Many benchtop planers can be used inside garages, small tool sheds, or humble workstations. These smaller units don't have beefy three horsepower motors, but they can still provide you with smooth surfaces for wood. With that being said, a benchtop model is an excellent choice for woodworkers who aren't working on a time constricted schedule as they do tend to work slower as compared to the large industrial variants. Look through this guide as we've put together some of the best benchtop planers you can get for your home or small workstation. We're optimistic that the information you'll find here will be useful if you're already looking at the market for one of the best benchtop planers. I work with wood most of the time, and most of them had me pulling out an extra amount of muscle just to cut them evenly while providing them with smooth surfaces. At first, I used conventional tools and didn't go for machines that would do more than half the job for me. As such, it did cost me a lot of time and sweat. When a benchtop planer was introduced to me, I was able to cut the time (no pun intended) when working with my wooden projects significantly. It gave me the power, the necessary tools, and it even made my workbench a lot cleaner than ever before. Truth be told, I didn't care much about using a planer before because I thought it would take up much space inside my tool shed. My only wish is that I wasn't so stubborn before and I got the machine sooner; then I'd be able to do more work than what I can currently achieve today. 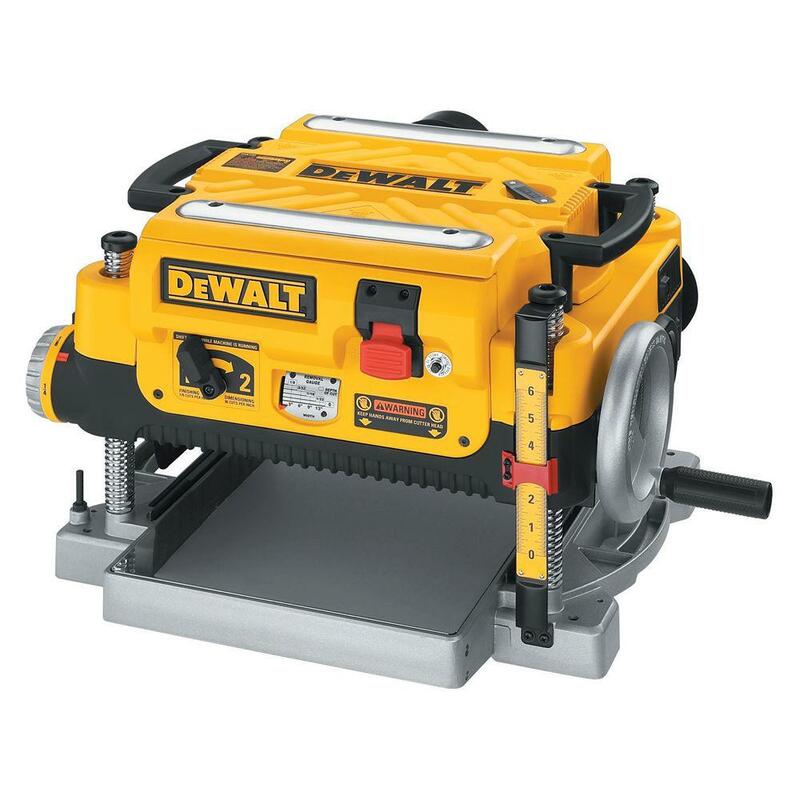 You will find many benchtop planers on the market, but the DEWALT DW734 Benchtop Planer can be considered to be the reigning champ in this list. What makes this benchtop planer excellent because it delivers power, precision, and it can last a good long while. When you feed wooden boards into it, the finish can blow you away. After all, you're going to take advantage of a machine that can do an average of 30,000 cuts per minute. When you attach this device to a dust collecting machine, and you'll be amazed at how only a few shavings can escape, making it look like you didn't work on anything at all. Coming in at a close second is the DEWALT DW735 Planer Package. It still has the same amount of power as the DEWALT DW734, and it is still worth the money you shell out for it, that is IF you're going to get it. It offers a quiet approach to cutting wood, and it has the addition of an exhaust fan, so it doesn't gather as much sawdust as compared to other benchtop planers on the market. 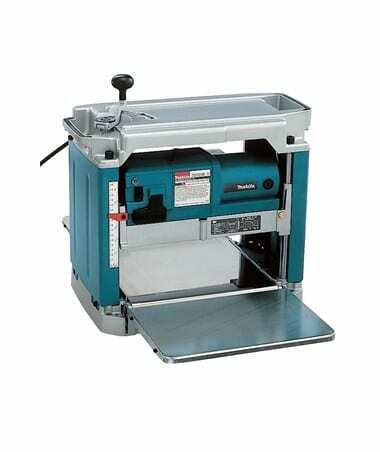 Last on this short list of top benchtop planers, but not the least, is the Makita 2012NB Planer. It comes into the market with an Interna-Lok automated head clamp to do away with snipe and improve planning operations. It is also made with top-of-the-line materials, so you'll know it can last for years-and-years (with proper cleaning and maintenance, of course). Benchtop planers, such as the DEWALT DW735, DEWALT DW734 15, and the Makita 2012NB, is ideal for woodworkers that don't want the extra hassle of dealing with the high cost of pre-surfaced lumber. Albeit larger planers do a better job at cutting wood and delivering smoother surfaces, the costs of professional services can put a significant dent into bank accounts. Another concern is the need to address snipe. Snipe is a term used when planing wood would often occur at the beginning of the boards rather than the end. It will leave the board with an undesirable uneven surface on one end. This scenario can happen when using conventional methods or use older models of benchtop planes. Many planers, benchtop models or otherwise, have a gauge which will indicate just how much wood will be removed with each pass. The gauge will assist you in avoiding things such as taking off too much from your piece of wood, which would otherwise result in a deeper snipe or a tear-out. Also, be on the lookout for benchtop planers that have adjustable preset depth stop to aid you in preventing you from planing a board that will be thinner than your desired thickness. Although power is an essential element for benchtop planers, it is considered to be not one of the most critical aspects of such a woodworking machine. Nonetheless, your chosen planer should be able to handle a decent level of cuts without choking. Since benchtop planers are a semi-automatic woodworking device, there's going to be a lot of sawdust involved. These machines will generate lots of dust and chips, which can create a big mess. Fortunately, many planers on the market now have dust collection features to help make your workstation as clean and as neat as possible. Furthermore, with a lesser amount of dust to deal with, the less chance of the machine's machinations to get dirty as well. The DEWALT DW734 Benchtop Planer offers 15 amps of power for its motor that can handle 20,000 RPM. It can create large and deep cuts, even when using hardwood. It has a three knife cutter head that can deliver 10,000 RPM of cutting power, and these elements let users take advantage of an average of 96 cuts per inch. If the knives become dull over time, they can be replaced, and changing the blades are quick and straightforward to do. Like many benchtop planers on the market, this model is heavy as it has a weight of 80 pounds. However, it has fairly decent dimensions, which means that you can place it on a particular portion of your work desk and it won't get in the way too much of the available work area. It has 96 cutting knives that can deliver an average of 30,000 cuts per minute. Wooden boards come out with a clean and smooth finish. The blades are also easily replaceable, which is a nice touch considering these will dull over time. You can make use of its cutting head clamped down to the wooden board fed into this particular benchtop planer. In doing so, it reduces the problem of having snipe. If done correctly, no snipe will be encountered, at all. Chip cleaning with this particular benchtop planer model is above average. Only a few amount of chips do remain after passing a piece of wood into the unit. The chips are adequately collected over the exhaust. Its infeed rollers work the way they should. Chips and shavings are collected well. Might need extra fine tuning to get desirable results. Screw attached to the height control might need to be replaced at the onset (it has a short height). Despite some shortcomings, the DEWALT DW734 Benchtop Planer remains a desirable machine for anyone looking into a more efficient way in cutting wood with an even surface. It is versatile to work with, and it presents user-friendliness when handling different levels of wood cutting. For its price, it offers excellent value for money, especially when you consider it can cut even relatively hard wood like it was nothing. There are some things to note, however, such as you might need to fine tune some areas to get consistent and desirable results. But once that's been dealt with accordingly, you won't have to worry too much about the rest of the woodworking operation. A 15 amp motor powers the DEWALT DW735 Planer Package. It has a 13 inch three knife system that can manage to create large cuts to wood or other objects. It offers feed speed options for 96 or 179 CPI, as well as a cutter head that can deliver 10,000 RPM. The package includes both infeed and outfeed tables, along with replacement knives. This particular benchtop planer can get the wood cutting done right. It produces smooth surfaces on wood, provided that its blades are still in good shape. Speaking of its blades, changing them is reasonably simple and quick to do. Even though the machine is still on the heavy side of things, it still has a fairly compact footprint so as not to take up too much space on your workbench. Many benchtop planers, especially older models, have a bit of difficulty in producing flat surfaces on wood. For this particular planer, it can offer professional-grade smooth surfaces for many types of wood. It can even take on hardwood, as long as the blades are still in good shape. In time and with constant use, the blades inside the machine will get worn out. The standard packaging of this benchtop planer already has spare blades included in it, and replacing the knives can be done easily. There is also an included tool with magnets in it to make blade changing an even easier task to comprehend as compared to some models on the market. It can create product smooth surfaces on wood. Double-edge blade action when cutting. Changing the blades is reasonably easy to do. Excellent chip handling and removal. Standard blades included in the package gets worn out quickly. The DEWALT DW735 Planer Package gets a lot of things to the right, especially when we're talking about its primary task of producing cut wood with smooth surfaces. Its compact footprint, excellent chip handling and removal, and ease-of-use make it a go-to benchtop planer for many woodworkers. However, be prepared to wear hearing protection as this machine can get pretty loud while under operation. 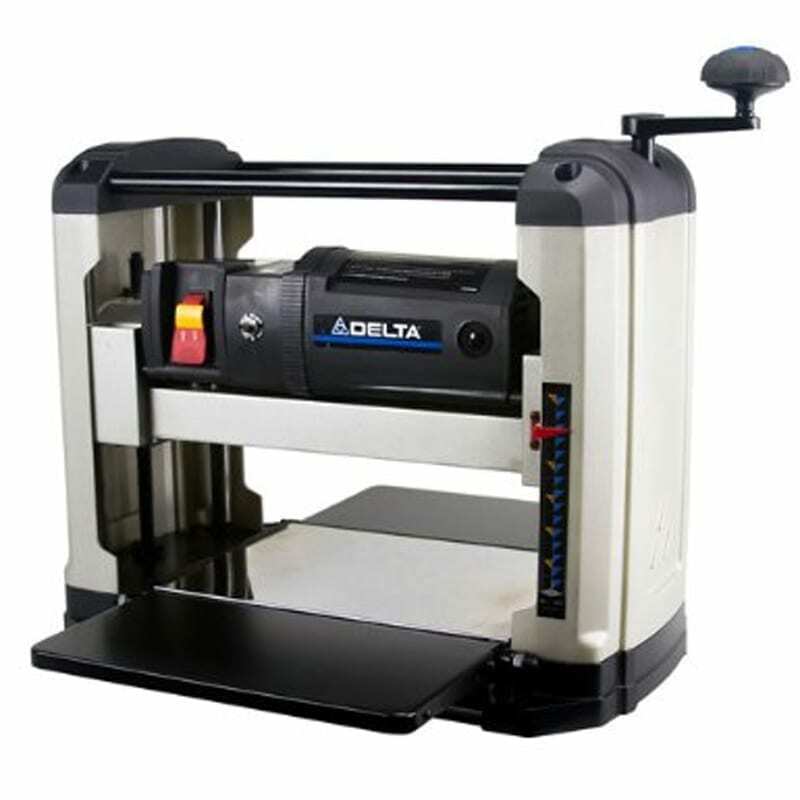 The Delta Power Tools Portable Thickness Benchtop Planer can handle the many demands of a home DIY enthusiast to a small woodworking shop with its 15 amp motor. It has a four column design to provide optimum stability while under operation. Its architecture also makes it stable enough to create smooth, accurate planing. Materials made for this device are top-notch, which means it can last for many years. Due to its compact footprint, you might need the help of another pair of hands if you're going to feed wood longer than 8 feet. Furthermore, it is suggested to make this benchtop planer make "nibbles" on the wood instead of making it "bite off" large chunks. If only it had a better way of dust and chip collecting, then it would've been even a more superior machine than its current state. Due to its reasonably small footprint, it can handle planing softwoods pretty well. It can still take on planing hardwood, but there will be snipe. However, it can be fixed with the use of a long piece of shelving to which you can clamp to the in/out feed tables. Furthermore, its compact nature makes it easier to move around as compared to other larger, heavier benchtop planers on the market. It can handle small to medium-grade tasks, and its internals is sturdily built. This benchtop planer is a four-post variant to allow optimal stability when planing wood. Changing the blades when they get worn out are also easy to do, and it can manage to about 18,800 cuts per minute with the motor's ability to make 9,400 RPM. It works great on softwoods. It can handle tasks fit for small to medium woodworking operations. The construction of the device is solid. The machine is solid, but it can shake the surface where it's placed. It's too small to handle long wood. Subpar dust and chip management. The Delta Power Tools Portable Thickness Benchtop Planer makes its way into the market with its reasonably compact architecture. It has a lighter weight in comparison to many other benchtop planers on the market, so you don't have to pull out the extra muscle to move it around. It is also sturdily built with top-notch materials to ensure that it will last for many years. It has some shortcomings, however, such as the machine's difficulty of planing long pieces of wood. It can handle softwoods particularly well, but might some hardwoods might be a bit challenging for it. Nonetheless, it is still an excellent benchtop planer for small to medium woodworking tasks. The Makita 2012NB Benchtop Planer presents itself with a compact footprint for easier transport. Like with the other planers on this list, blade changing is easy to do. What makes this particular model stand out from the rest is its reasonably quiet operations. It is advertised to have a low operating noise of 83 dB, which means wearing hearing protection is only optional when using this machine. This particular benchtop planer has a four post design, much like the Delta Power Tools Portable Thickness Benchtop Planer. It means that the machine itself is stable, even when its handling rigorous tasks. It offers large table extensions to allow medium to long pieces of wood to be fed into it with minimal assistance. A LED light is an added touch to help ensure that the unit is connected to the mains. Unlike other benchtop planers, this particular model can get to work on planing your preferred pieces of wood right out of the box. Just plug it in and start feeding it wood. It can bring about smooth surfaces for many types of wood (hard and soft wood alike), and change the blades presents minimal hassle if there's any at all. The beauty of this benchtop planer lies under its operations because it can deliver the results you require for such a machine. It has minimal chances (if any) for sniping, slipping, or clogging. There is also only a tiny chance of slipping, and there's no setup time aside from placing it on the desired surface and plugging it into an outlet. It has no setup time. It does not have an included dust boot in the standard packaging. The Makita 2012NB Benchtop Planer is an excellent performer in just about any woodworking task that it can handle (as long as it is within the boundaries of its capabilities). Changing the blades is simple enough, and it leaves a good surface to hard and softwoods alike. Albeit the machine has a higher price tag as many compactly-designed planers on the market, it can still beat many of its competitors without much sweat. When it comes to its performance, it delivers a significant amount of cutting power, which can be a surprise for some considering its portable looks. Once your piece of wood goes out of the outfeed table, it will have a smooth surface that will require very little sanding or scraping (if any). It is a bit of a disappointment, however, that it does not have a dust boot included in the standard packaging. 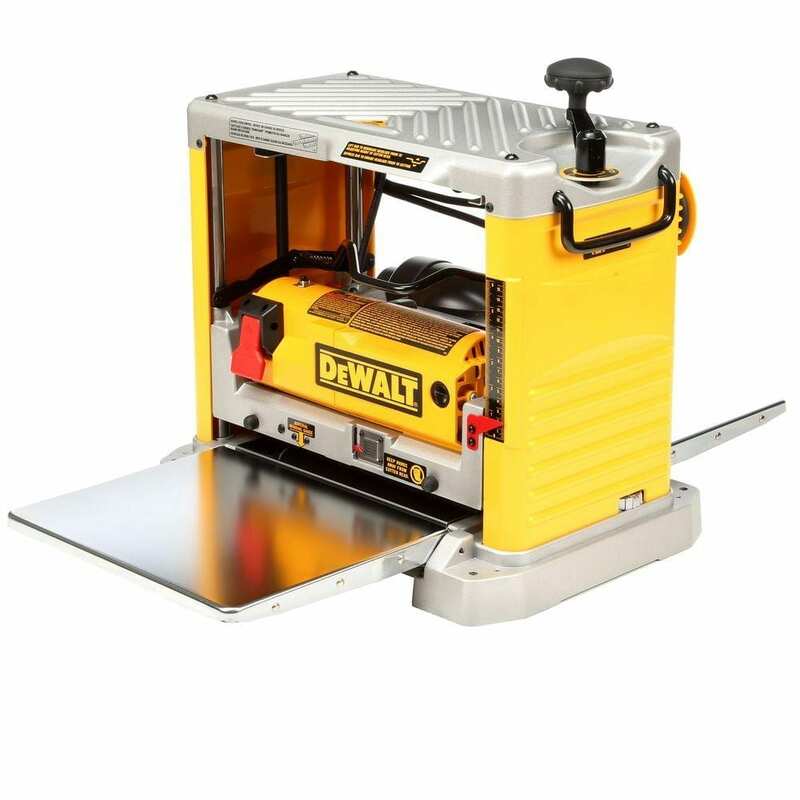 Once you the package of the DEWALT DW735, you might ask, "is this a benchtop planer?" For its size, it is larger than most similar machines on the market. However, it is surprisingly lightweight, for a benchtop planer at least. It has a weight of 90 pounds, and it sits on a cast aluminum base. The casing, on the other hand, is molded in plastic which subtracts a few points from its scores. But it can still deliver satisfyingly smooth planing for many types of wood. When operating this benchtop planer, it is relatively easy to make it "eat" wooden planks. It can handle wood such as oak, mahogany, and ash, and it will still work remarkably well. Its 15 amp motor provides a more than decent amount of power to plane soft and hardwoods without much hassle. It can even take on a 70 feet piece of mahogany that's 2 inches thick like it was nothing. A unique feature that comes with this benchtop planer is its two feed speeds. One speed is meant for quick thickness planing, while the other speed setting is for detailed finishing. The former setting will make the automatic feed slower than normal as it allows the blade to cut the wooden piece 179 times per inch. In doing so, it will leave pieces of wood with a nice, smooth finish. As for the 2nd-speed setting, it increases the automatic feed speed but lowers the number of cuts per inch to 96. However, it makes dimensioning wooden pieces quicker. While some benchtop planers forgot about dust collecting, the DEWALT DW735 certainly did not. It has a built-in blower to clear wood shavings away from its blades. It even has an astounding amount of air flow. However, when it doesn't have a dust collector, it can shoot wood shavings in just about any direction, so the addition of this feature is certainly a welcoming touch. The DEWALT DW735 can handle a lot of planing tasks with ease. It is a real workhorse of a woodworking machine, and it is fairly accurate as well. It is large, but not as heavy as you might expect with other benchtop planers on the market. This particular benchtop planer is an excellent upgrade if you're planning to step up your planing tasks to the next level. It effectively bridges the gap between hobbyist and professional woodworker. It might not still handle extreme loads like what you might see in a mill shop, but it can still perform admirably under the right conditions. The market might already be overloaded with many benchtop planers which made it difficult for me to hunt for the best model out there. 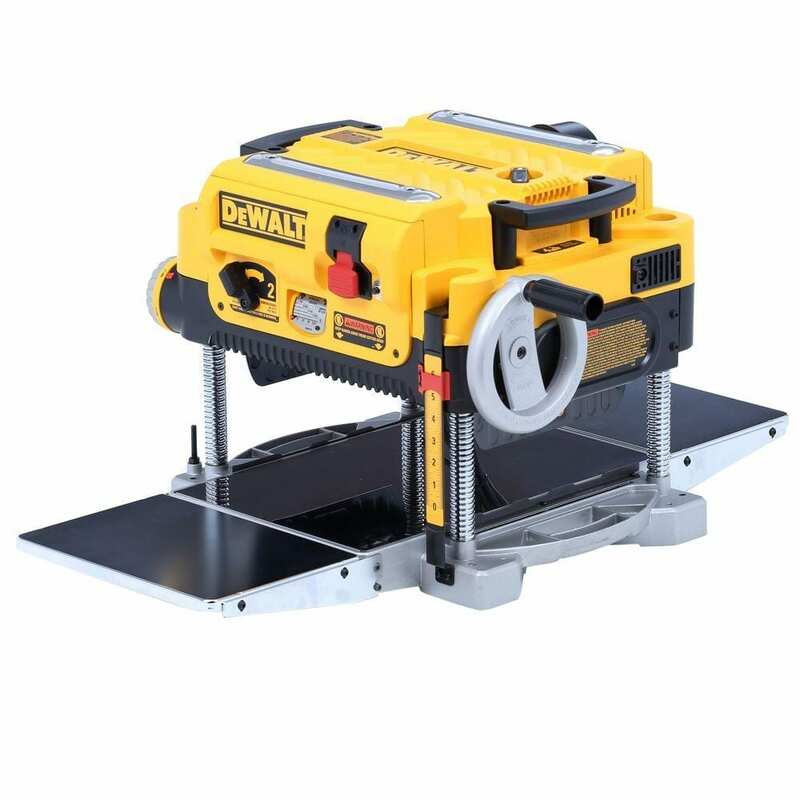 I then came across with the DEWALT DW734 Benchtop Planer because I've found and read the reviews made by the customers who bought this particular unit and have found that they were reasonably positive. While the DEWALT DW734 is not the only benchtop planer I've found on the Internet, there are some that did come at a close second. For the DW734, one reviewer stated that even though the machine does work astonishingly well, some parts might leave questions as to how they got through quality control. The person who gave the review explained that the "bolt to secure the crank which raises and lowers the cutter assembly was too short." Replacing the bolt won't take a lot of time and effort to do, but it would still be better if there would be no need to replace the thing in the first place. The WEN 6550 is a benchtop planer that can repurpose old and worn-looking wood to give it an outstandingly smooth finish. It has a powerful 15 Amp motor that can deliver over 18,000 cuts per minute. It also has a 25 feet per minute feed rate, and it can smoothen and cut plane boards of up to 6 inches of thickness and 12.5 inches of width. The in-and-outfeed tables are made of robust and smooth granite that never warps. If you want accuracy in your portable thickness planers, you ought to consider the Delta Power Tools 22-555. It can deliver extremely excellent results down to 1/8 inches in depth. It is solidly built with its four post construction. It also has reversible blades, which means you can make the most out of each knife before you have to replace them. Furthermore, it has a very attractive price tag. If you're looking for a benchtop planer that won't hurt your spending allowance too much, then you might want to check out the PORTER CABLE 15 Amp. Thickness Benchtop Planer. It has the price tag to beat. But don't get its reasonably inexpensive price tag to be its undoing because it can still prove to be quite efficient in your workbench. It will leave a smooth and consistent finish across the entire length of the board. It also offers efficient dust collection manifold to help clean out the work area. Durability is the name of the game for the POWERTEC PL1251. This benchtop planer has a sturdy plastic case that can last for years. It can handle many types of soft or hardwoods like they were nothing. It has an index pin setup for quick and easy replacement. Its four-post design assures greater stability and accuracy as compared to some variants on the market. It even has Side-mounted carrying handles to make it easier for travel. TheCutech 40200H-CT Cutterhead Planer is a bit cheaper as compared to many other similar woodworking machines on the market. It can provide smooth surfaces for many soft and hardwoods, but there are times when an extra bit of sanding is required to attain that optimum evenness. It has a head that's easy to work with, and cleaning and maintenance are simple to do, except for some light oil found on the cutter heads. The Jet - JWP - 208HH Helical Head Planer enters the market with a two-speed gearbox. It also has an automatic chain tensioner to help users adjust the feed rate to meet individual requirements. Its large cast iron table does precise work for many wooden pieces. Its Positive Gear Drive will move the in-and-outfeed tables move about accurately to avoid adjustment mishaps. This particular head planer is even advertised as a "woodworker's dream." The Triton TPT125 can deliver over 17,500 cuts per minute to allow consistently smooth finish across the board. Setting the depth of the cut is both easy and accurate. A nice touch is the addition of a circuit breaker within the device for added electrical safety. It also features a dust chute to help clean the work area and rid it of chips and sawdust. It is also outfitted with large in-and-outfeeds for added support for materials. When you take advantage of a benchtop planer, you can refurbish rough and worn out pieces of wood to make them look like new. While most of these woodworking machines are heavy (despite having the "benchtop" moniker), they are still relatively compact as compared to planers found in large mills. If you're searching for an accomplished benchtop planer, then the DEWALT DW734 can handle a wide variety of wood cutting and smoothing tasks. It has the power, precision, and control that you require for such a woodworking tool. It can deliver around 30,000 cuts per minute to allow exceedingly smooth surfaces for soft and hardwoods. You can check out the product by clicking here.